Atlantic lobster, also known as American Lobster, is often called the “King of Seafood”. Found in the shallow inshore areas or the deeper cold offshore waters of the North Atlantic, its sweet meat is enjoyed the world over for its delicate and succulent flavor. The finest lobsters in the world are found along the cold, southern coastal waters of Cape Breton Island, including the reputable Fourchu lobster, made notorious by Dorothy Cann Hamilton, the founder and CEO of New York’s French Culinary Institute. Glacial currents that rush headlong from the Arctic Ocean to the Atlantic coast adjacent to the village of Fourchu (population 47), makes the water colder, and, as a result of the colder water, the biological development of the lobster slows down. This allows for a healthier lobster with a much higher protein level which, in turn, makes for a more superior classification of lobster. Our Snow Crab, also referred to as “Opilio Crab”, is harvested from the deep waters of the North Atlantic and are mostly found along the cold, southern coastal waters of Cape Breton. 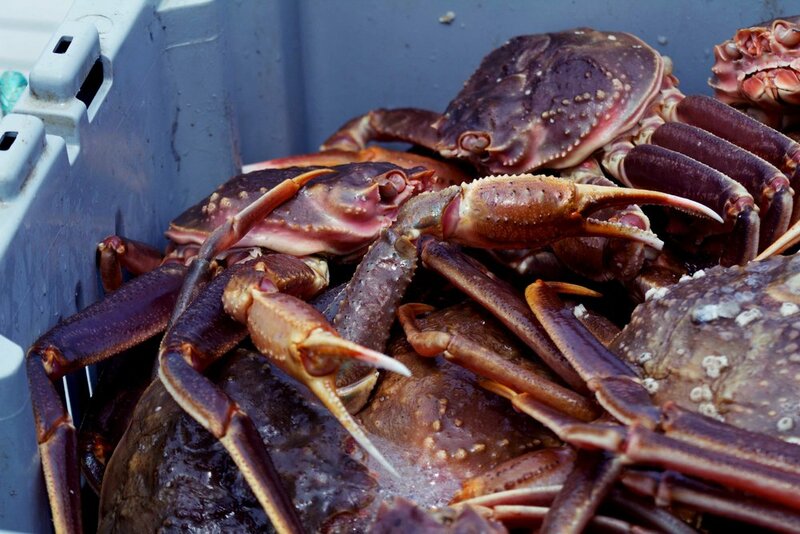 The snow crab does not store well, or for very long, so our catches are sold quickly to Atlantic Canada processing plants to be prepared for American, European and Asian markets.